Brandhorst, T. T. (2014). Native BAD-1 Binding to Heparin-agarose. Bio-protocol 4(7): e1095. DOI: 10.21769/BioProtoc.1095. Taguchi, Y., Mistica, A. M., Kitamoto, T. and Schätzl, H. M. (2013). Critical significance of the region between Helix 1 and 2 for efficient dominant-negative inhibition by conversion-incompetent prion protein. 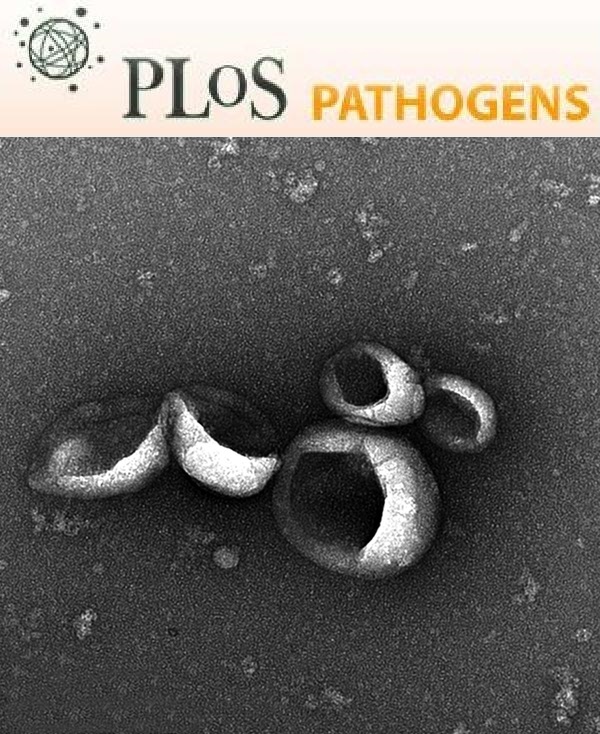 PLoS Pathog 9(6): e1003466. BAD-1 is an adhesin created by the dimorphic fungus Blastomyces dermatitidis, the causative agent of blastomycosis. We have determined that it has an affinity for heparin, which may explain its impact on virulence and human immune function as a number of cells related to immune function have heparin like moieties on their surfaces. This assay allows a quantification of binding between soluble BAD-1 and immobilized heparin. 100 μl of 0.1 mg/ml BAD-1 in tricine buffer was incubated with agarose heparin resin (5 μl bed volume) for 30 min at 25 °C with occasional agitation. Resin beads were pelleted by centrifugation in an Accuspin microfuge at 7,000 x g for 1 min. Samples of the BAD-1 containing supernatant were analyzed for optical density at 280 nm in a Nanodrop ND1000 spectrophotometer. This reading was compared to a control solution of BAD-1 to which tricine buffer was added in place of heparin-agarose beads. The discrepancy in absorbance is assumed to be linear with respect to BAD-1 adhering to the heparin resin bed. Binding inhibition studies were done by repeating steps 1-3 in the presence of soluble medical grade heparin in tricine buffer. Heparin was added to the tricine binding buffer at various concentrations (0.01, 0.1 and 1 mg/ml - significant inhibition was noted at 0.1 mg/ml heparin and above.). Measurements of baseline absorbance were corrected to account for absorbance of added heparin inhibitor. This work was supported by funds from the United States Public Health Service (to B. S. K.), the Parker B. Francis Foundation (to T. T. B. ), and the Infectious Disease Society of America (to G. M. G.). The University of Wisconsin-Madison Biophysics Instrumentation Facility, where the CD experiments were performed, was established by National Science Foundation Grant BIR9512577 and National Institutes of Health Grant RR13790.